From job opportunities to a change in scenery, everyone has a different reason for moving from NJ to Utah. Regardless on the reason for your relocation, you still need to work with an expert moving company to ensure a seamless process, and Simonik Moving & Storage has been the trusted choice since 1977. 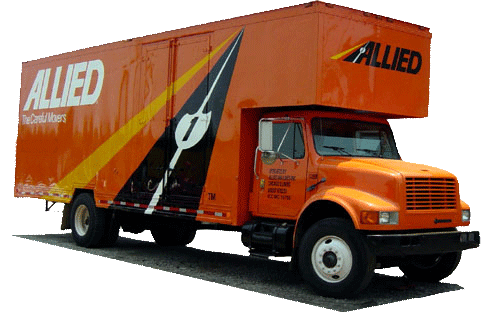 As a BBB-accredited business and award-winning agent for Allied Van Lines, we specialize in coordinating household moves of any size with our superior moving services. We’re proud to be part of a nationwide network of moving and storage professionals that are committed to high-quality service, and we have the equipment and expertise to handle any household move—anywhere in the United States. There’s no job too big or small for the professionals at Simonik, and we have the skills, experience, and resources to handle everything from small apartment moves to large-scale relocations. To ensure that you get the right services for your household’s needs and budget, we’ll send an expert out to your home to provide you with a free estimate of your moving costs. A personal Relocation Coordinator will also work with you when moving to Utah from NJ, guaranteeing that you have a smooth transition to your new home with minimal stress and hassle. Finding a reputable, secure facility to store your household items is an important part of a NJ to UT move, and Simonik is one of the most trusted names in the industry to handle your storage needs. By storing your items in secure, long-distance shipping containers, you can feel confident knowing that your valuable belongings will be returned to you safe and undamaged whenever you are ready to receive them. Simonik offers exceptional NJ to Utah moving services throughout North and Central Jersey, and we cover residents in several local regions, including Hunterdon, Mercer, Middlesex, Monmouth, Morris, and Somerset counties. As a past recipient of the “Mover of the Year” award from the New Jersey Warehousemen & Movers Association, we strive to offer the best service in the industry, and we stay fully apprised of all long-distance moving requirements through our ProMover status with the American Moving & Storage Association. Are you ready to learn more about why Simonik Moving & Storage is one of the most respected local names for NJ to Utah moving? Give us a call today, and one of our friendly representatives would be happy to answer any questions you have. You can also request your free, no-obligation estimate now by submitting our simple, online form!